Avry's power to heal the sick should earn her respect in the plague-torn land of Kazan. Instead she is feared. Her kind are blamed for the horrifying disease that has taken hold of the nation. 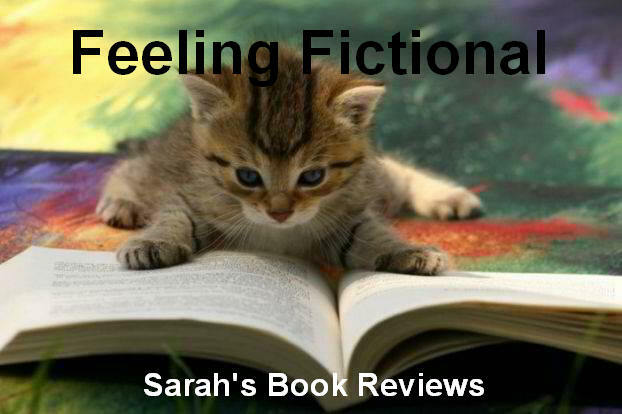 When Avry uses her forbidden magic to save a dying child, she faces the guillotine. Until a dark, mysterious man rescues her from her prison cell. His people need Avry's magic to save their dying prince. The very prince who first unleashed the plague on Kazan. Saving the prince is certain to kill Avry - yet she already faces a violent death. Now she must choose - use her healing touch to show the ultimate mercy or die a martyr to a lost cause? As a Healer Avry should be a respected member of the community, someone that people turn to for help and who spends her life tending to the sick. Unfortunately the plague that killed millions of people was wrongly blamed on the Healers and Avry has to hide her gift or risk execution. She lives in the shadows, moving from village to village searching for others like her and for somewhere she can be safe. When her neighbour's child is on the verge of death Avry can't resist the call to heal her even knowing what will happen if she is discovered. When the worst happens and she is captured Avry accepts her fate but before she can be put to the guillotine she is rescued by Kerrick and his gang. Kerrick needs Avry's help to cure his friend Prince Ryne of the plague but Avry has very good reasons not to help him, the least of which is the fact that curing him will mean her certain death. Can Kerrick convince her that Ryne's life is worth more than her own? Despite the fact that I have several books by Maria V. Snyder sitting on my shelves Touch of Power is the first one I've actually read. I really have no idea why I haven't picked up her work sooner and having loved this one I'm looking forward to reading her back list as soon as possible. Touch of Power is a fantastic start to a new fantasy trilogy and my only disappointment is that I have to wait a year for the next instalment! 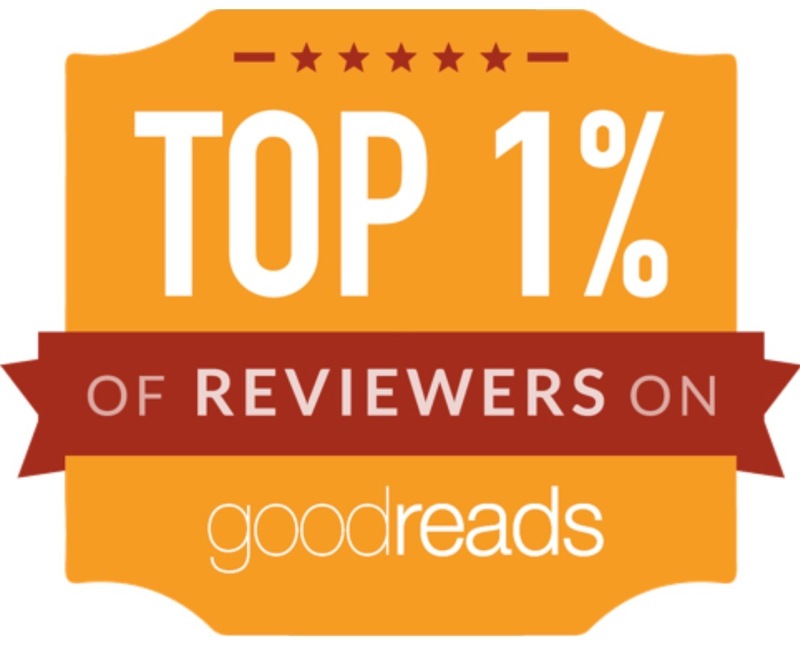 I loved the world that the author has created and Avry is a fantastic heroine. I was fascinated with her healing abilities right from the start, it takes a special kind of person to willingly suffer someone else's pain to heal them. As a Healer Avry doesn't magic someone's injuries / illness away, she actually draws them into herself so someone's knife wound will appear on her body and she will be the one left with the scar to show for it. Her only advantage is that she heals faster than a normal human would but she can still die if the injury or illness is too severe. Despite the fact that this book has nearly 400 pages I finished it within a day, I was hooked from the beginning and didn't want to put it down. I loved Avry but there is also a great supporting cast of characters. Kerrick comes across as grumpy and uncaring but deep down is a really nice guy but I think my favourite characters were Belan, a warrior who becomes very protective of Avry and Flea who was like a sweet younger brother to her. I loved the banter between Kerrick's gang and the way they accepted Avry and took care of her. The story moves along at a fast pace, has a hint of romance and some good twists that I didn't see coming. Although we are left with questions and I'm desperate to get my hands on the next instalment this isn't because we are left with a major cliffhanger which is something I really appreciate. 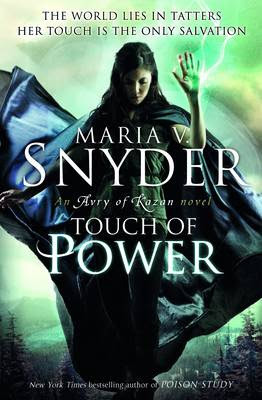 If you're a fan of fantasy stories then I would definitely recommend giving Touch of Power a try and I'm looking forward to reading more of Maria V. Snyder's work in the future. I have a bizarre fascination with stories including healing magic. It has to be one of the strongest, yet hardest burdens, in the way of magic. Even without the risk that you have to take the wound or illness into theirselves, the healer must face that they cannot heal everyone. Like in the case of a widespread plague. Even if they did nothing but heal to the point of exhausting themselves to death. I'll definitely have to look this one up. I'm glad that it is a trilogy because I wouldn't want to read an entire book about two choices on how to die only for it to end in death. I agree with you *so* much! I mean I knew Snyder was a seriously addicting writer but this book pulled me in so far, so fast! I can't wait for the next one either!